A lonely boy walking along a New Jersey highway one October evening meets the boy of his dreams, a boy who happens to have died decades ago and whose ghost now haunts the road. Awkward crushes, both bitter and sweet, lead him to face youthful dreams and childish fears. 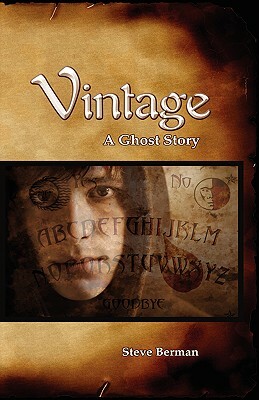 With its cast of offbeat friends, antiques, and Ouija boards, Vintage is not your typical romance but does offers readers a memorable blend of dark humor, chills and love. A finalist for the Andre Norton Award for Young Adult Science Fiction and Fantasy.